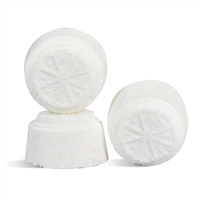 These lemon scented toilet tabs will leave your toilet bowl and bathroom smelling fresh and clean. Just drop one in the bowl and watch the fizzing action. The combination of baking soda and citric acid will help soak away stains and leave a fresh scent. Baking Soda, Citric Acid, Sodium Borate, Sodium Lauryl Sulfoacetate, Kaolin Clay, Fragrance, Water, Bis(Glycidoxyphenyl)propane/Bisaminomethylnorbornane copolymer, Aluminum Hydroxide, Ultramarine Blue. 1. NOTE: If you are making these products for sale, good manufacturing practices recommend you wear a hairnet, gloves and a mask. We also recommend a clean apron. 2. Place bowl on a digital scale and tare to zero. Add 16 oz. Baking Soda, 8 oz. Citric Acid, 1 oz. Lathanol Powder, 0.75 oz. Kaolin Clay and 2 oz. Sodium Borate. We suggest using a mask when working with Lathanol. This is a very fine powder and becomes airborne very quickly. 3. Stir with wire whisk and break apart any clumps of powder with gloved hands. 4. Add 2 tsp. Neon Blue Bye You Powder and mix with hands to fully incorporate. 5. Drizzle 20 ml of Lemon Verbena EO & FO Blend, making sure to cover entire powder area. Mix again with hands until well blended. 6. Pour 0.50 oz. Distilled Water over the mixture and quickly mix with hands to prevent fizzing. 7. Squeeze a small amount of mixture in your hand. If it sticks together, it is ready. If not, spritz the mixture with rubbing alcohol until it sticks together in your hand. Mixture will also feel damp to the touch. 8. Place one clamshell on a scale and tare to zero. Fill with powder until scale reaches 5.50 oz. Continue with the remaining clamshells until all powder mixture has been added to the clamshells. If any mixture remains, divide evenly among the clamshells. 9. Immediately, press powder down well into each cavity making sure the powder is evenly distributed. Clean off the plastic dividers between each cavity so it is clean and neat. 10. Set clamshells aside to dry completely, preferably overnight. 11. Close clamshell and label accordingly. TO USE: Place one tab into toilet bowl. Let fizz and soak for about 10 minutes. Use brush to clean bowl all over and then flush. COMMENTS: Love this recipe, I did change some things in it, with great results. I used Liquid Sls in place of SLSa. And as the distilled water. Works great . And for the hard water problems we have I added 4 more ounces of citric acid. Have customers who have the rings in Toliet use it in the tank to, and gets the rings gone.. Happy customers. It’s been a great addition. With many happy customers. COMMENTS: These are a great way to clean toilets. I did an experiment and adding a little vinegar to the toilet bowl makes them fizz even more especially in hard water. COMMENTS: Love love love it. I sell tons of these. They work and smell great. "Love the concept, not crazy about the kit." COMMENTS: This was the first time I used the Lemon Verbana EO/FO blend and I absolutely love it. It is by far my favorite lemon scent. But, this kit....I follow the directions to the letter and it just fizzes like crazy for me. I make bath fizzies with baking soda, citric acid, and lathanol and have no problem, so I am not sure why I can't get this kit to work. 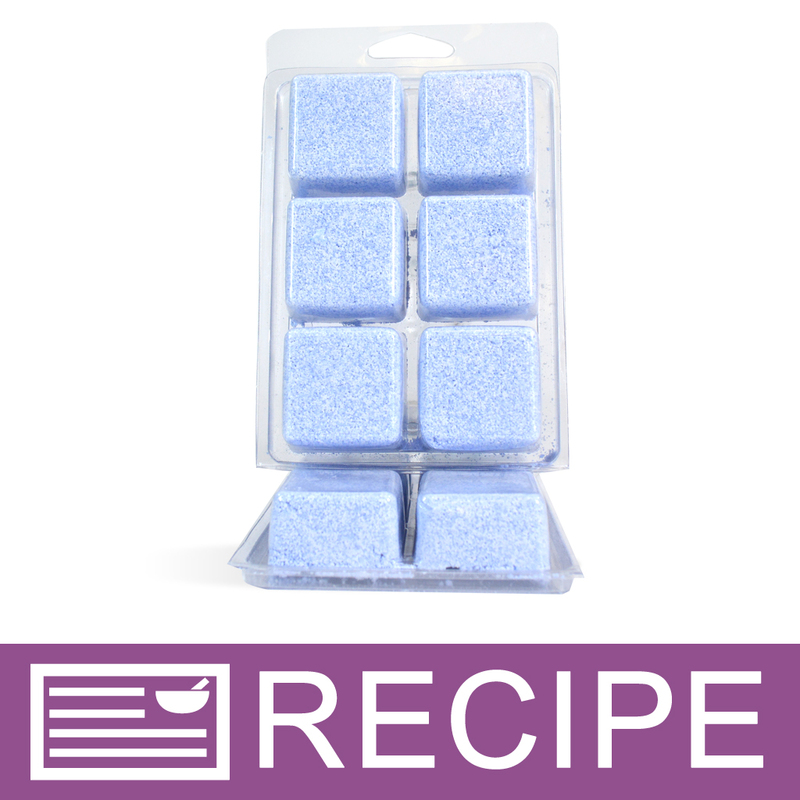 I think I will use my bath fizzy recipe and this concept to make toilet refresher tabs. PLUS, I have animals and a grandbaby in the house...who wants toilet bowl cleaner setting around. This is a WONDERFUL alternative that WORKS!!! • love the blue color! "I don't use Sodium Lauryl Sulfoacetate in any of my products due to a personal allergy and branding of our products. Will that tabs still "work" without it?" Staff Answer The tabs will still work without the SLSa. You will not get bubbles but the tabs will still foam up like a bath fizzy and the sodium borate will help clean the bowl.